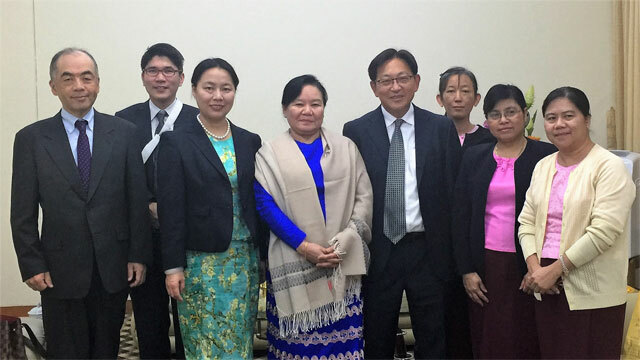 Singapore, January 25, 2017 – The ASEAN+3 Macroeconomic Research Office (AMRO) conducted its Annual Consultation Visit to Myanmar from January 16 to 20, 2017. Discussions centered on prospects for growth, maintaining macroeconomic stability and proper sequencing of reforms amid capacity constraints. In FY2017/18, growth is projected to recover to 7.0 percent. Inflation is expected to stabilize at around 6.0 percent with continued tight monetary policy. The authorities’ efforts to closely monitor banks and mop up excess liquidity through stepped-up deposit auctions, along with the automatic penalty scheme for the new reserve requirement regime, are positive measures that support financial stability. The development of financial soundness indicators (FSI) and the commencement of onsite and offsite supervision for commercial banks are commendable. Moving forward, supervision of the financial sector needs to be further strengthened to keep pace with the rapidly expanding financial system. Prioritization and implementation of regulations under the new Financial Institutions Law, starting with the enhancement of bank capital, are crucial to safeguarding financial stability amid the fast-changing environment. For the external accounts, the widening current account deficit is expected to be funded by sustained FDI and concessional loans. In light of elevated external uncertainty, exchange rate flexibility should remain a key shock absorber for the economy. International reserves need to be further strengthened to provide a stronger cushion against external shocks. On the fiscal side, the challenge remains on reprioritizing expenditures to address massive social and infrastructure gaps amid the fall in revenue from the commodity sector. In this regard, continuing efforts to enhance tax revenue, streamline the budget and prioritize spending are welcome. Moving forward, capital expenditure needs to be increased to ensure that the medium-term growth potential of the economy is on a higher trajectory. Concessional loans and grants would be a good source of financing to address the country’s infrastructure requirements, particularly in power and transportation. With strong support from the Myanmar authorities, the visit has deepened AMRO’s understanding of the current macroeconomic situation in the country, providing valuable insights. AMRO continues to remain supportive of authorities’ efforts towards maintaining macroeconomic stability, pushing the reform process, and uplifting the lives of the Myanmar people.